Here is another snack for vegetarians! 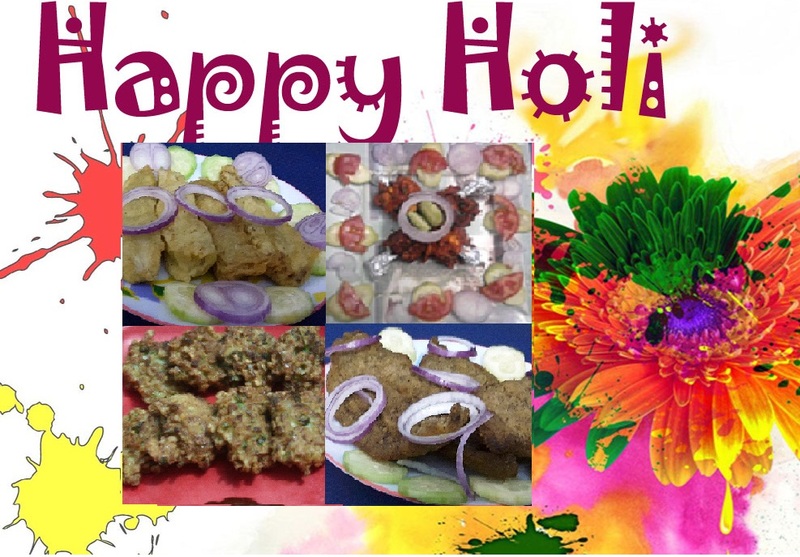 I love my all readers and want make happy this Holi all of you - vegetarian or non-vegetarian! Take all the ingredients except paneer and mix very well. Make a thick batter with a little bit of water. If mix is too dry add as needed 1 or 2 spoons of water to make texture of soft dough. Now add the paneer into the dough and mix well. Heat at least one inch of oil in a frying pan over medium high heat. Fry the pakoras in small batches.This will take five to six minutes per batch. Fry the pakoras, turning occasionally, until both sides are golden brown. Serve hot with your favorite deep.